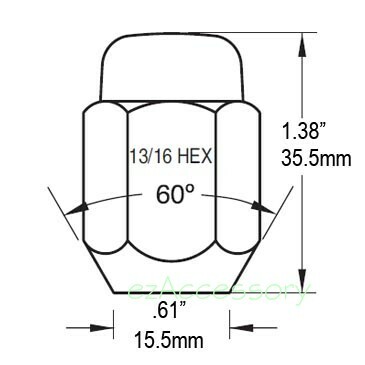 Acorn style 12mmx1.75 threads nice chromed lug nut. These lug nuts fit 97-99 Ford F-150, Expedition and 98-99 Loncoln Navigator, etc. Please refer the following drawing for exact specification and size. Visit our application guide page for your application questions. Price is for each piece.